Another cute gift idea from Birdorable! 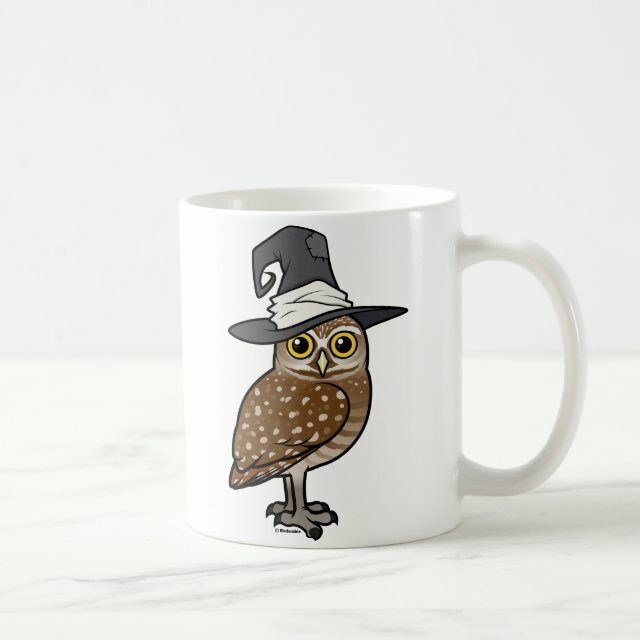 This cute festive holiday design features our cartoon Burrowing Owl dressed up like a witch for Halloween! The classic white mug is perfect for any photos or designs. A blank canvas for your creativity. Large handles make it easy to hold. Dishwasher and microwave safe.